It is a sad state of affairs when an elected official is likened to a modern-day Ottoman sultan; however, the comparison is both startling and striking. With continuing protests and demonstrations across Turkish cities, activists, commentators and analysts are increasingly refering to Prime Minister Tayyip Erdogan as a modern-day sultan. As students of the Ottoman Empire’s rich 800 years of history, we wonder which of the Empire’s 39 sultans does Erdogan most closely resemble? The first on our shortlist of most likely contenders is Selim I (1512-1520), better known in the west as Selim the Grimm. His reign was marked by conquest. Before embarking on his invasion of Egypt, Syria and the western part of Persia, Selim renewed treaties with European powers in order to prevent opening a second military front. Selim’s most important capture was the holy cities of Mecca and Medina earning him the dual title of Caliph, leader of the Islamic community, alongside that of Sultan. Islam became a central feature of Ottoman life. Men of Islamic learning were brought into the Ottoman bureaucracy and Selim oversaw the establishment of multiple religious schools and institutions. Under Selim’s rule the Empire’s demographic balance also become predominantly Sunni. It was marked by crackdowns and massacres against Anatolian Shias, particularly the Alevi community which makes up between 10-20 per cent of modern day Turkey. Erdogan’s likeness to Selim is remarkable. Erdogan payed homage to Selim by naming Istanbul’s controversial third bridge across the Bosphorus after him. Erdogan, like Selim, also understands the importance of relations with the west notably the US, NATO and the EU. But it is the Middle East that has been Erdogan’s main focus. Free visa zones were established with Iran, Syria and Lebanon. Trade relations with the Middle East blossomed as did intelligence and military cooperation. Erdogan championed the expansion of the religious “imam hatip” schools while seeking a greater role for Islam in public life. He has attempted to restrict the consumption of alcohol, public displays of affection and encouraged young couples to have more babies. Meanwhile Erdogan has had a tenuous relationship with Turkey’s Alevi Muslim community. In 2012 he dismissed them as not being a real religion while also critiquing their Shia-aligned lifestyle. Yet, there are other candidates worth considering. The rule of Mahmud II (1808-1839) was known for his clash with the unruly Janissaries, or shock troops that were increasingly interfering in the politics of the palace. The “Auspicious Incident,” took place in 1826. Mahmud was able to crush the Janissaries after their ill-fated attempted mutiny. This left Mahmud free to initiate the “Tanzimat” reforms designed to modernise and westernise the now declining Empire in a bid to gain favour with Europe. Alas, the reforms were, for the most part, superficial. 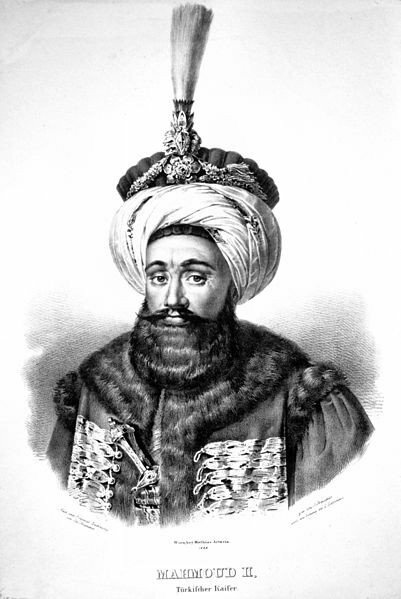 Mahmud II (1808-1839). Wikimedia Commons/Josef Kriehuber. Public domain. Like Mahmud’s defeat against the Janisseries, Erdogan limited the power of the military in Turkish politics responsible for three interventions (1960, 1971 and 1980) and one “post modern” coup in 1997 when the openly Islamist Prime Minister Necmettin Erbakan was told to step down. Erdogan was able to cripple the military’s influence following the “Balyoz” and “Ergenekon” investigations into a deep-state plots to overthrow his government. Hundreds of military personnel have been imprisoned or tried giving Erdogan free reign to dominate the political landscape. During Erdogan’s first term there were attempts at democratic reform in line with criteria necessary to gain entry into the European Union. However, as the recent crackdowns on protesters demonstrating their right of assembly show, these reforms did not hold when tested. Like that of the Tanzimat, they were without real substance. 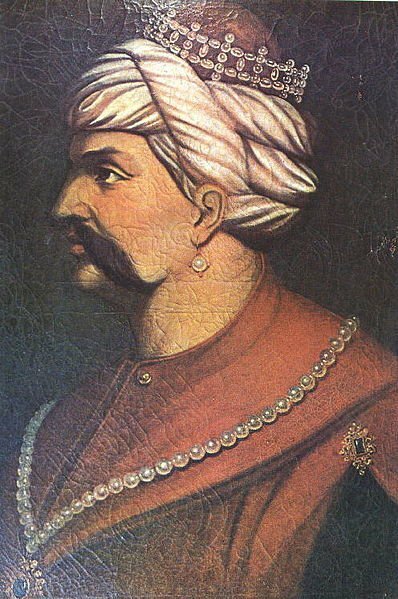 Another candidate is Mehmet II (1444-1481), known in Turkey as “the Conqueror.” It was he who captured Constantinople, today’s Istanbul, and brought to an end the Byzantine Empire. Claiming the city to be a bridge between east and west, Mehmet dedicated himself to rebuilding Constantinople as the Ottoman’s political and economic hub. 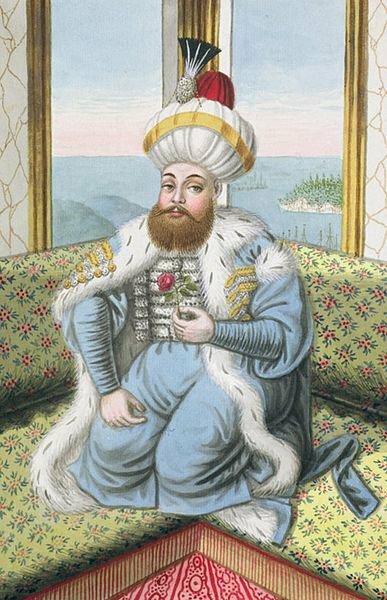 Mehmet II (1444-1481). Wikimedia Commons/John Young. Public domain. Like Mehmet before him, Istanbul has a special place in Erdogan’s heart. As mayor of the city during the 1990s, he focused his attention on tackling Istanbul’s chronic infrastructural issues such as water shortages, population pressures and the crippling traffic congestion. Upon assuming the role of Prime Minister, Erdogan, with scant attention to environmental implications or contrary advice from architects or city planners, ran a multitude of projects. He pushed forward plans to build a third airport, an additional Bosphorus bridge and a Black Sea shipping canal. Echoing Mehmet’s foreign policy outlook, Erdogan has claimed that Turkey, particularly Istanbul, should be as a bridge between East and West. He co-sponsored the UN’s Alliance of Civilizations and attempted to position his country as a mediator in the Arab-Israeli conflict as well as the Iranian nuclear dispute. However, although Erdogan seeks “Zero problems” with neighbours, conflicts still abound in Turkey’s regional sphere. Finally there is Sultan Abdulhamid II (1876-1909). Sometimes known as “the Damned” or the “Red Sultan,” Abdulhamid’s reign was remarkable in that he ruled over the empire's first constitution that established an elected bicameral parliament. However, this Sultan was an ardent autocrat. Fearing challenges to his rule, Abdulhamid dismissed Parliament and forced reform-minded intellectuals, journalists and the western oriented bureaucratic elite into exile or imprisonment. 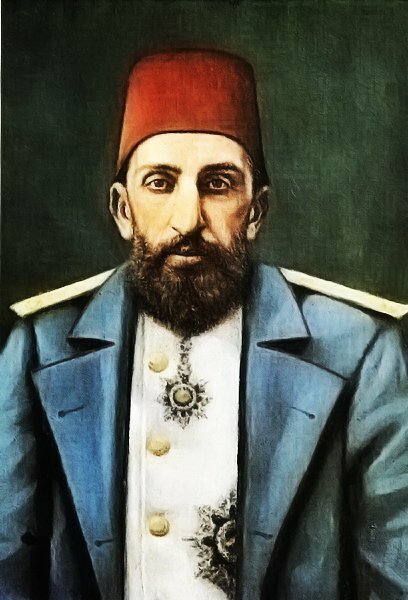 Abdulhamid II (1876-1909). Wikimedia Commons/Serhad Oktar. Public domain. Facing little opposition, Abdulhamid ruled the Empire for over 30 years and skilfully incorporated pan-Islamism as a means to solidify his absolutist rule as well as to rally public opinion in the empire’s outer dominions. Unlike Abdulhamid Erdogan is a democratically elected leader. However, he is looking to amend Turkey’s constitution to allow for greater powers for the president, an office he is seeking to acquire once his term as prime minister expires. Critics, especially within the media, have also been silenced in a climate of fear. Reporters Without Borders’ 2013 World Press Freedom Index called Turkey "the world's biggest prison for journalists," where approximately 70 reporters are behind bars. Turkey was ranked 154th for open press out of pool of 179 countries, a worse ranking than Iraq, Afghanistan and Russia. Echoing Abdulhamid’s social and political outlook, Erdogan’s political doctrine has often been referred to as “neo-Ottoman,” an attempt to recapture Turkey's historical and cultural Ottoman legacy. It represents a dramatic shift from the traditional Turkish secular worldview to one where Islam is a central theme in modern-day Turkey. Erdogan has introduced Koran classes in primary education and facilitated Islamic clerical training at middle school level. Just two weeks ago Turkey’s parliament passed legislation to restrict the sale of alcohol. It is a sad state of affairs when an elected official is likened to a modern-day Ottoman sultan; however, the comparison is both startling and striking. What Turkey needs is not another sultan, but a true Prime Minister dedicated to the democratic system willing to embrace Turkey’s political diversity.